Since I planned to make deviled eggs with dinner (I'll explain in a moment), our day started with creating something from the chickpeas sitting in the refrigerator - hummus - spooned atop cucumber rounds and strawberries in yogurt. Lunch included chicken salad (made from our leftover chicken) atop a green salad and some iced tea with lemon. 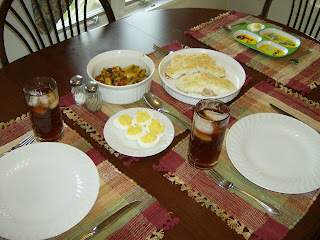 Last nights dinner was simply delicious - we started with some deviled eggs, and then enjoyed wild salmon en souffle with a side of sauteed summer squash (green zucchini, yellow squash, scallions and 1/2 of a fresh tomato, sauteed in butter with a touch of salt and pepper). Deviled eggs were an obvious choice to eliminate wasting the yolks of the two egg whites I needed for the "souffle" part of the salmon recipe (see below). Rather than toss them, I placed them in a shallow pan with simmering water until they were cooked and added them to the yolks removed from hard boiled eggs I had made earlier in the week to have on hand for snacking. With a spoon of mayonnaise and a touch of mustard, we had deviled eggs as our appetizer. The salmon recipe is one of the simplest and tastiest I have in my collection! Melt butter and add 1 TBS dill, stir and spoon onto salmon filets in a baking dish; bake at 350F until cooked to liking (15 to 30 minutes depending on thickness and desired thoroughness). Souffle - While salmon is baking, in a bowl place two egg whites and whip to firm but not dry peaks; add 1TBS dill weed (or seed) and 1/4 cup mayonnaise; fold mayo and dill into the egg whites and place in refrigerator until needed (salmon cooked). When the salmon is ready, remove from oven and place oven on "broil" setting (low is better, but high will do); top each filet with a portion of the souffle mix and return to oven for about five minutes under broiler until souffle topping is golden (not too dark). Earlier this month, I wrote about an article in Diabetes Health, titled The Optimal Eating Plan for Type 2 Diabetes?, in my post Diet for Diabetes Mired in Half-Truths. It seems someone over at Diabetes Health changed the title - now "Why You Don't Want to Go Low Carb or Vegan," with the text appearing to be unchanged. More importantly, why no disclosure to readers that the title was changed? As Jimmy Moore pointed out earlier this week, a survey is open for low-carbers interested in a vacation retreat. The data collected will hopefully be the basis for a low-carb retreat to learn about and live a low-carb lifestyle while enjoying a vacation too! Vegetable oils, salad dressings, crackers and other oil-containing foods made by PepsiCo Inc.'s Frito-Lay unit will now carry claims that products with unsaturated fat can curb the risk of heart disease, U.S. regulators said on Friday. "Frito-Lay intends to apply the claim to vegetable oils, spreads, and shortenings that have a total unsaturated fat content of 80 (percent) or more of total fat," the U.S. Food and Drug Administration said in a statement. Packaging for such foods would say "replacing saturated fat with similar amounts of unsaturated fats may reduce the risk of heart disease. To achieve this benefit, total daily calories should not increase," according to the agency. The company notified the FDA in January about its intent to add the claim to some of its products. The FDA said any food meeting the agency's requirements could carry the claim. It would also apply to sauces, dips and other snacks. You can read the basis of the new health claim at the FDA website. Is That 'thar Meat you Got in your Mouth? Can you imagine a day when eating meat might be outlawed? After an interesting breakfast - omelets with pepperoni (salad bar item), ham (Carl Budding) and cheese; the last of the blackberries and some coffee - we started our day. I say "interesting" because I've never had Carl Budding meats before, and can honestly say I probably won't again. It didn't look like ham, nor did it taste like ham. 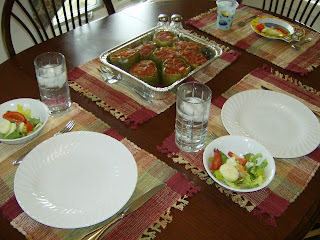 Lunch was some cut cantaloupe (we're almost done with the melon too) and the leftover stuffed peppers. Each day you may notice we eat for lunch the leftovers from dinner. It's something I learned long ago when Gil was following carb-restriction for weight loss - it's easier to make a big dinner and pack that as lunch than try to create a new lunch each day or eat out. It's also a lot less expensive! Regardless of budget, it's something I always suggest to those who ask for help with menu and meal planning - and it allows some great lunches the next day! 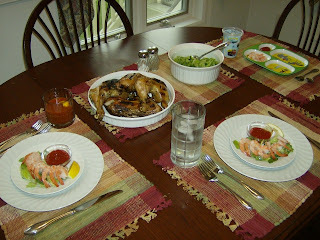 For example, last night we started dinner with shrimp cocktail (served with cocktail sauce and lemon wedge), Gil had water, I had some V-8, our son had milk; and our meal was broccoli and grilled chicken legs/thighs. For Gil and me, lunch today will be chicken salad made from the leftover chicken - just a simple mayo based salad with diced celery, onion and mayonnaise, served on a bed of romaine, some sliced cucumbers, grated carrots and dressing. My son will likely have some cut-up chicken, leftover broccoli and a kiwi fruit, along with some milk. To do such a menu, where you can maximize you time cooking and preparing meals, takes planning and cooking a larger meal for dinner than you'll eat at dinner. Some food too are simply not going to work well for a lunch the next day - things like cheeseburgers don't tend to taste good the next day. So on day's following something like a dinner of cheeseburgers you need to plan what else you'll have for lunch instead, or prepare something similar while you're making dinner. One option I usually suggest for a cheeseburger dinner is to brown some ground beef and season it like taco meat - then the next day prepare yourself a taco salad using that meat prepared the night before. A quiet Memorial Day was our plan yesterday - a delicious breakfast of slow-cooked oatmeal, topped with yogurt, sliced almonds and strawberries started the day. It's not often we have oatmeal, but it was among the things I bought to add some variety to our menu throughout the week - and it was a tasty change of pace! When Gil arrived home from his morning patients, we enjoyed leftovers from dinner the night before and then headed out to get some things done in the yard and then Gil and Hunter went fishing for a couple of hours. 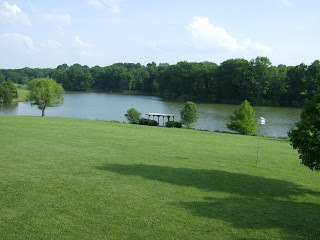 With a number of emails asking to see our lake, I decided to post one so my readers can see why we choose to live where we do now - two words: peace and quiet! While they were fishing (it's almost always catch and release relaxation fishing - the night before was an exception to the "gut-hook" consumption of fish from the lake) I got dinner started. Last night was stuffed peppers and a small salad. I haven't made stuffed peppers in years, mostly because recipes are based heavy on rice as part of the stuffing, but the green peppers were such a good bargain that I bought nine of them, thinking I'd come up with a recipe for stuffed peppers when the time came to make them. Wash 8 green peppers well, the cut tops off and set aside. Remove the stems and seeds and fill each pepper with cold water. Place in a large baking dish, with about an inch of water in the bottom of the dish and microwave for 10-minutes. Trim tops and place in container/bag in refrigerator for use later in week. While peppers are steaming in the microwave, saute in butter, one diced zucchini, 1/4 onion diced, and one carrot shaved/diced very small until the zucchini is tender and the onions are still not quite translucent. Remove from pot/pan and set aside in a bowl. In same pot/pan, add one pound crumbled ground turkey, salt & pepper, and cook, then add one can of diced tomatoes. By now the peppers are done, so take them out of the microwave and empty each one of the water and drain the pan of water...add 1/2 inch of cold water to the pan and place peppers back in the pan. Back to your pot of ground turkey and diced tomatoes - now add 3/4 of a jar of picante sauce (thin salsa), 1 can black-eyed peas and your onion-carrot-zucchini mix. Stir all together and spoon mixture into peppers. Take one small can of tomato sauce and pour over the stuffed green peppers, allowing the sauce to also fall into the water in the pan....then, taking a spoon, dollop the remaining picante on top of each pepper. Cover pan with foil and bake in the oven at 350F for about an hour (until the peppers are tender) - remove foil and bake another ten minutes to set the sauce on top. Saturday was an uneventful day - a simple breakfast of bacon and cheese omelets started our morning, followed by a quick trip to the playground to play while we waited for Gil to return from his morning at work. When we bumped into a friend with her husbands kids, the old saying, expect the unexpected, rang true. With the kids in town for the weekend, she was hoping maybe they could all come over Sunday to play with my son and go fishing on the lake since her husband, also a doctor, was off for the holiday. 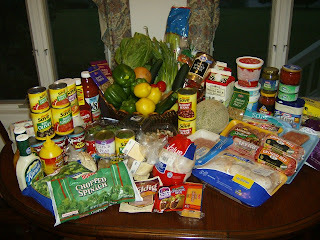 Running through my head - what to make for dinner? They'd surely stay for dinner and if I was going to honor my commitment to this week, what would we have to serve as a meal for not just us, but two more adults and three more children? I quickly ran through the options and decided to explain to her what we were doing because, for the life of me, I couldn't come up with a meal for all of us with what I had on hand. I offered up that we had enough chicken and salad and could cut up the cantaloupe and maybe make some frozen strawberry yogurt for dessert. She offered to bring the asparagus bunch she had in her crisper and anything else she could think would add to our meal. 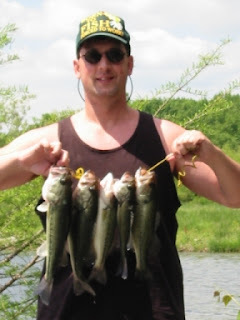 When we arrived home and were preparing our lunch (tuna salad, romaine, diced celery, tomato, pecan pieces and dressing) I let Gil know we'd be having company on Sunday, he had a great idea - if they're going fishing, why not have fish for dinner? So, that was the plan - the chicken would be our standby just in case, but if they caught some fish, that would be our dinner. 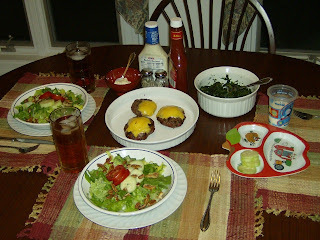 Saturday dinner was a salad, cheeseburgers and spinach. Yum! Since Gil had the day off yesterday (Sunday), we prepared a family breakfast of spinach and cheese omelets with some blackberries on the side; coffee as usual and an addition - a small glass of V-8 with a twist of lemon rounded out our morning meal. Our friends arrived shortly after lunch - I didn't have lunch (not hungry yet), Gil picked on what was in the refridgerator and our son ate some yogurt, blackberries, cucumber slices with ranch and roast beef from the salad bar I picked up - and had brought a big bunch of asparagus, cut up watermelon, a homemade lemon pie and a spinach & artichoke dip with rye rounds. They liked the idea of eating their catch for dinner, so everyone was keen on fishing as planned with a fish-fry for dinner if they managed to catch some fish if the weather cooperated! On and off thunderstorms throughout the day continued through most of the afternoon, so when a band of weather cleared, the kids and Gil headed to the dock with poles and bait and returned with dinner about an hour later. After cleaning the fish, we had about 4-pounds of filets for everyone to enjoy! 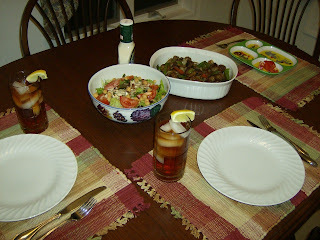 So, dinner was a meal of a large salad (romaine, tomatoes, pecan pieces, cucumber slices, scallions and dressing), fresh caught fish, grilled asparagus and fresh-brewed iced tea with lemon. The pie, for those not watching carbs, and added to the watermelon some cantaloupe and berries and we had a great dessert too, remaining within our commitment for the week. Funny, but the kids didn't seem to mind not having the usual junk-foods - no complaints at all - they were quite content with the meal and fresh fruits or homemade pie for dessert, and enjoyed the fresh iced tea to drink with not one asking for juice or soda. And, yes, I'm fully aware most folks would not have the option to go fishing off their dock...and if we didn't have that option available, we would have had the chicken legs/thighs in enough quantity to make grilled chicken for everyone. Fishing was just too tempting not to use as an opportunity to not just have fun (the kids wanted to go fishing - it was one reason they were coming over) but to feed ourselves from our own hands. With my goal being as much produce (fruits and vegetables) as possible and enough quality protein for the week, I set out to stay within a budget of just $63 for the week (two adults and one child) to feed us all and not compromise our health with nutritionally inferior foods. First stop, the online sale circulars for our local grocery stores. Most people get these each week in the mail or paper, but ours was already long gone, in the trash earlier in the week. After reviewing each, I compiled a list of foods on sale and then set to complete menus for the week to add what else I needed to the list I'd buy while shopping. Once that was complete, it was off to the stores - first to one without an online circular - the grocery store in the northside of town, that bills itself the "discount" grocery store. It was a good first place to start - I knew what the other stores had on sale, so if this store had things for less, I would buy them here. The first big savings was on green peppers - 4 for $1.00; followed by cantaloupe for $2.00 each (other stores were advertising $2.50); Kraft real mayo $1.50; and an assortment of canned beans and tomatos (paste, sauce, diced), ranging from $0.19 a can to $0.53. I also snatched up a one pound bag of frozen, peeled, deveined shrimp for $3.99 - granted they're uncooked, but this was about half the advertised price elsewhere for cooked shrimp. In total, I spent $26.53 in this store. Our next stop (I had my son with me) was my math adventure. The store had, in addition to their advertised specials, a number of manager specials screaming from bright neon orange signs lining the shelves. One in particular caught my attention - block cheese, 24-oz, for just $3.88 - or $2.58 per pound. It did look like a good deal, and unless you could do the math, might be tempting - it looked much bigger than the advertised 8-ounce block (obviously) and seemed like it might be less than the 2/$5.00 sale price on the 8-oz blocks. It actually cost $0.08 more per pound, so I chose the sale cheese over the managers special, spending $2.50 on a half-pound block instead of $3.88 on more cheese than we'll use in the week. Here too was my best deal on the shopping adventure - wild salmon for just $3.49/lb (frozen) and was less than the $1.39/4-oz wild filets I intended to buy at the next store ($5.56/lb). It was in this store too that I hit the mother-lode for spices - the health food section had bulk spices, sold by the pound. Garlic powder, ginger, italian spice mix, white pepper, and sesame seeds were had for just $0.65, and enough rolled oats for one breakfast was had for just $0.17. In total, I spent $25.05 in this store...$51.58 so far, $11.42 remained with one more store to go. I suspected at that point that I was going to exceed the budget...but continued on. Last stop, I was determined to stick with my list and not purchase anything not needed. Eggs, check; baked beans, check; yogurt, check; fresh tomatoes, check; frozen strawberries, check; ground turkey, franks on sale and ground beef, check. After looking over my remaining things needed, I grabbed a jar of relish and headed for the salad bar - why? Here you can get fresh produce in very small quantity, often for less per pound than the produce aisles or deli counter. At $3.49 a pound, it was cheap to get baby spinach to add to the romaine I had. A 6-oz bag of baby spinach was being sold 2/$5, or $6.65 per pound - the salad bar was a better price...so I put together one small container of baby spinach. Next I put together a small container of red peppers and mushrooms. Red peppers were being sold for $3.99/pound whole, so here I could buy just what I needed and have no waste I paid for; and mushrooms weren't sold loose, but in one-pound containers for $3.29, and I didn't need a pound! I also added some pepperoni and roast beef strips to add to salads or omelets during the week. Salad bar items added $1.65 this way instead of more than $8.00 had I purchased these items stand-alone. The last minute impulse buy took me over my budget - I grabbed three small bags of nuts (sliced almonds, pecan and walnut pieces) to add to salads, forgetting the one-pound of sunflower (hulled) I'd already purchased for $1.39 in the first store. At $1.43 per bag, this added another $4.29, and took me over the budget. In total I spent $16.35 here, and a grand total of $67.93 - $4.93 over budget. The budget over-run could be chalked up to the nuts, or the fact that I won't compromise with milk for my son - organic whole milk was on sale, but still more expensive than conventional milk and I spent $5.98 on his milk, $2.13 more than I would have if I'd picked up regular milk. Had this been a real world scenario, I'd have put back the extra nuts to keep the organic milk since they alone make up most of the overage, along with condiments that it's unlikely one would need to buy all of in one week (ketchup, mustard, mayonnaise and spices, including iodized salt) since I'd think most people have these on-hand, or at least some of them, and buy as needed. So, at the end of the day, my conclusion is that you can feed a family of three for just $63 without resorting to low-nutritional-value foods. As you can see from the picture I took (post below) of my purchases, we have plenty of fresh produce, more frozen vegetables to add to those, fresh and frozen fruits, nuts & seeds, yogurt, cheese, eggs, and a wide selection of meat, poultry and fish. The big question now is, will it last a week and will our meals be filling and nutrient-dense? With some compromises I hadn't planned, it is possible to find and purchase groceries for the week, for a family of three, for $63. Doing it took some major planning - reading through the sale circulars for our local grocery stores, planning a menu for the week based on what was on sale before I headed to the store, and then lots of mental math in an effort to cut through the hype of some sales, which it turned out were not a bargain! Our first meal from my finds - a salad with romaine, tomato, sliced almonds, chick peas and ranch dressing; sausage with red and green peppers, onions and mushrooms; iced tea with lemon. A simple meal that was delicious! In posts that follow I'll detail the shopping trip, decisions made along the way, and each day take pictures of our meals for the week! I haven't crunched the numbers for nutritional value yet, but will as the week continues and let you know how we do! The challenge is one millions Americans face each day - feeding themself and their family with just $3.00 per person, per day. Patt Morrison wrote of her experience trying to do shop with $21 for a week as a vegetarian in the LA Times. She highlighted that "Several members of Congress took the food stamp challenge, and now two of them, a Missouri Republican and a Massachusetts Democrat, are trying to make the food stamp fund a little bigger and to guarantee that combat-zone pay doesn't knock military families off the food stamp eligibility list (yes, there are food stamp debit cards in the pockets of U.S. military uniforms)." Which led me to The Congressional Food Stamp Challenge, a blog detailing the experiences of two members, during the week May 15 to 21, as they lived with a budget of just $3.00 a day to feed themself. As congresswoman Jan Schakowsky noted in her reflections of the week, "Living on food stamps is not just about the food. It takes a lot of planning ahead to live on a food stamp budget, and still, even if you get the calories you need, you can’t get the nutrients. Maybe some nutrition expert can figure out how one can eat healthily on a food stamp diet, but I can’t see how it’s done. Fruits and vegetables, especially fresh ones, are very expensive relative to foods like pastas and bread." The Washington Post featured the experiences of Representative Tim Ryan, who found "He made some poor choices when he shopped for the $21 worth of food, and the country's food stamp program is not sufficient for the 26 million Americans who rely on it." What started the challenge was two representatives, Jo Emerson (R-MO) and Jim McGovern (D-MA), calling on their colleagues to join them in raising awareness of hunger and what it's like to live on just $3.00 per day. Only two members joined them - Tim Ryan (D-OH) and Jan Schakowsky (D-IL) in the challenge. "I've been a little low on energy, but I feel guilty about complaining about anything," said McGovern, who took the challenge with his wife; each lost about five pounds. "For us, this is an exercise that ends Tuesday. For millions of people, this is their life. "McGovern said he faced down many temptations at several receptions and fundraisers -- the duck rolls, the crab cakes, the red wine. "Every time I thought, 'I wish I could have that scallop wrapped in bacon,' at the back of mind I thought, 'Why are you complaining? This is the way people live every day,' " he said. The Southeast Missourian featured Jo Emerson's experience, "Most people on a day-to-day basis don't think about the fact that there are millions of people in this country who have to make a choice every day about how much they're going to spend on food," Emerson said. And, who knew? "I'll save over a dollar by blowing my low-carb diet," Emerson said. Which got me thinking, what would I do if I only had $21 for the week to feed myself? What would be more important - satiety or nutrient-density; could I manage both? More importantly, would I be able to feed our family of three, with just $63 for the week and still feed my child a nutrient-rich diet? What compromises would I make in my diet to assure his diet was healthy? I'm up for the challenge, as is my husband - later today, with just $63 in my pocket, I'll shop for a week of groceries, commited as a family to only eating what we're able to purchase with that sum next week. We'll begin this evening, and continue through lunch on Friday next week. In doing this I hope to learn even more about nutrition and provide my readers with insights about how possible it is to maintain a controlled-carb diet while on a tight budget. I'd like to invite my readers to join me and use the comments section to share ideas, tips and frustrations as we journey together through the challenge. 1. The budget for food, all food, is limited to just $3.00 per person in our households each day ($21 per week, per person), so if you're single, you have $21....a couple has $42....each child adds $21. One major caveat - we cannot use anything during the week we already have in the house unless we deduct the cost of it from our budget - so if you're using chopped garlic in a jar already in your refrigerator, deduct the price from your budget for the week! Same goes for spices, cooking oils, and such since it's unlikely we'd have a stocked pantry if we were living life routinely on $21 a week per person! 3. If you have a child in school, buying school lunch, the cost of the lunch is part of your budget....or you can pack their lunch for the week to buy more groceries. Or you can opt not to include your child in the budget and only do this yourself (and/or with your spouse). 4. We can eat out, but any cost to eat out must come from our $21 a week per person, so if we plan to eat out, we need to plan the cost and keep it within that amount when we do eat out. Friends and family cannot pay for us to eat out during the week, nor can the business expense account pick up the meal. 5. The budget does not include paper products, cleaning products, or non-food items available at grocery stores (lightbulbs, batteries, etc. ); the budget does include alcohol, so shop wisely if you want a drink with dinner or use wine in cooking! 6. The budget does include condiments, spices, supplements, and anything you'd consume as part of your "diet," but does not include over-the-counter medications or prescription medications. 7. The challenge includes preparing and eating what you are able to purchase throughout the coming week, and any meals eaten out, since it's one thing to have to shop with a limited budget and another to live with it for a week. Who will join me this week? Those participating in the challenge are encouraged to email me photos of their groceries for the week, along with recipes and meal ideas and insights about your experiences during the week. I'll highlight them here on my blog next week and open discussion about the various challenges we all faced, and the things we learned along the way! As noted in the abstract, the objective "was to test the hypothesis that a community-based environmental change intervention could prevent weight gain in young children" as reflected in the change in BMI z-score. In total, 1,178 children were enrolled - 385 in Somerville (the intervention group), and two control communities, one enrolling 561 children to be followed, the other 232 children to be followed. All the children were in grades 1 through 3 at the beginning of the study period, school year 2003-2004 (September to June). The intervention was intensive, and expensive. Overall, the researchers started with a $1.5-million dollar CDC grant. And, if that were not enough, the Tufts website notes the grant "received supplemental support from The US Potato Board, Dole Food Company, Blue Cross and Blue Shiled of MA. It is also supported through generaous donations by Whole Foods Market, WGBH, New Balance, Gaining Ground, Annie’s Homegrown, Stonyfield Farm, Organic Valley, White Wave, Earthbound Farms, Shaw’s Supermarkets, Cabot Creamery, Friendship Dairies, Newman’s Own, The Vermont Bread Company, and the Kashi Company." "...the Tufts researchers helped the city win a grant from the Robert Wood Johnson Foundation for a bigger-ticket item, an extension of a bike path that will eventually go all the way to Boston. " "...the City Council came up with its own ideas: reimbursements on gym membership for city employees and dozens of new bike racks for schools and streets." "...Dr. Economos persuaded a Whole Foods store to donate about $35,000 in fresh produce." "...a Department of Homeland Security grant is providing fitness equipment at fire stations and chefs to train the firefighters about nutrition and healthy meals." "...a doctor sponsors the community fun run." So, it's hard to add up all the additional monies and in-kind donations to know the true cost of the initative, but Somerville has secured an additional $1.5-million dollars to continue the efforts. What exactly happened in Somerville that so much attention is focused on this small town? I don't think they missed an opportunity to intervene, do you? No Child Left Behind - heck, this was an "in your face" intervention, with no one left behind. Throughout Somerville, it was impossible to escape the Shape Up Somerville messages. So you'd think the results would be impressive given the media's attention the last few weeks. The researchers trumpted "A community-based environmental change intervention decreased BMI z-score in children at high risk for obesity. These results are significant given the obesigenic environmental backdrop against which the intervention occurred. This model demonstrates promise for communities throughout the country confronted with escalating childhood obesity rates." Based on their results that found over eight months, "At baseline, 44% (n = 385), 36% (n = 561), and 43% (n = 232) of children were above the 85th percentile for BMI z-score in the intervention and the two control communities, respectively. In the intervention community, BMI z-score decreased by –0.1005 (p = 0.001, 95% confidence interval, –0.1151 to –0.0859) compared with children in the control communities after controlling for baseline covariates." Simply put, the kids in the intervention group gained about 1-pound less than the kids in the two control towns who received no intervention. They didn't lose weight, they just gained less, which is expected - growing children gain weight each year (or are supposed to). Within the full-text we find a curious table designed to highlight the effect of this intervention, Estimated intervention effect over 8 months on a child at the 75th percentile BMI z-score, which seems contrary to the objective of reducing the incidence of overweight and obesity, which is defined as a BMI that places a child in the 85th percentile or higher. Nonetheless, the researchers included it to show how the intervention would effect children at the 75th percentile - children, it should be noted, already within the definition of a "healthy weight" for age. It seems to have escaped many that with or without intervention such a child would remain within "normal, healthy" weight, as evidenced in the table data included. Case in point - highlighted in the table - a boy, at baseline 8-years old has a BMI of 17 and is in the 75th percentile. Eight months later, without intervention (it's hypothesized) he might grow about an inch-and-a-half and gain 5.07 pounds; with intervention, just 4.25-pounds (a difference of 0.82-pounds, or about 12-ounces). Without intervention the child's BMI is now 17.4; with intervention it is now 17.17 - in both instances the BMI increased, right? But in both instances the child in this scenario fell on the charts, going from the 75th percentile to the 73.9 percentile without any intervention and the 71.1 with intervention, and at a cost of $1.5-million to keep this hypothetical child well within "normal" when he would have remained there anyway? I wondered, what happened to the kids who were overweight or obese to start - the 170 of 385 children in the intervention. As I combed through the data, another curiosity - no data was provided to show the intervention was effective for this particular subset of children within the intervention group. Why was that data not provided? I would think that would be the icing on the cake for the researchers to highlight the benefit of such an intense intervention, wouldn't you? So, I got to thinking, what changes, based on the data provided, might happen for a child within this group? The researchers neatly summed up the hypothetical child within normal, so how about we create the same table for a child who was at the 95th percentile at baseline to see what might happen. Johnny is 8-years old, he stands 4' 2.25" and weighs 72-pounds - BMI 20.1, 95th percentile. In eight months, like the scenario presented by researchers, he now stands 4' 3.75" (growing 1.5") and without intervention is likely to weigh 77-pounds (gained five pounds); with intervention he'd weigh about 76-pounds (gained four pounds). Without intervention he's fallen to the 93.8 percentile; with it he's fallen to the 93rd percentile. Yes - with or without intervention this hypothetical child went from "overweight" to "at risk for overweight" - which begins to explain the absence of data on the subject of where the children were on the charts at the end of the study period. I'm not trying to say we shouldn't try to help children engage in more activity or eat a healthier diet, but quite frankly, these results are not as impressive as we're being led to believe. We have no data to look to in our understanding of how this type of aggressive community-based intervention impacted children already underweight or at the bottom of "normal, healthy" weight; we have no clue as to how this type of intervention impacted those children who were well within "normal, healthy" weight; and without the hard data we don't know that any of this helped those children at risk for or already overweight! I'd like to see the data and also see someone investigate impacts in other areas of life, like reading and math scores. Sandy Szwarc, over at Junkfood Science, pointed out that "While the school year was absorbed in diet and exercise, (after the Shape Up program was completed in 2005) the average reading test scores among Somerville kids are 15.4% below state average, and their math test scores are a whopping 26% below those of kids in the rest of the state." I did some poking around and found the Somerville MCAS testing stats online; in the 2003/04 school year, third grade reading scores indicated that 44% needed improvement or were failing; in the 2004/05 school year - these same students, now 4th graders, tested in ELA (english language arts) showed 63% now needing improvement or failing, and 73% needed improvement or were failing math (not tested in 3rd grade). Just some food for thought, and a hat tip to Sandy for the educational impacts that may be part of the intiatives overall impact not recorded in the results that are focused on BMI z-scores. In the press release, Increasing Incidence of Obesity Drives Demand in the Global CLA Markets, from Research and Markets, I learned of a new offering titled "Strategic Analysis of the Global CLA Markets;" an analysis of market dynamics and trends from Frost & Sullivan, a business research and consulting firm. "Increasing scientific evidence on the efficiency of CLA [conjugated linoleic acid] in weight management and growing demand for fortified foods have encouraged food and beverage manufacturers to incorporate CLA in their products. Moreover, rising scientific evidence of the ability of CLA to alleviate conditions such as diabetes and cardiovascular diseases is likely to open up viable business opportunities for CLA." Where the press release gets interesting is in the presentation of the potential for the market - if and when - the regulatory environment changes in a more favorable direction. Due to the current restrictions on use of CLA, "potential volumes in the food and beverage and animal feed sectors have been restricted," leaving CLA as mostly "a dietary supplement and its use in the food and beverage, as well as the animal feed industries is significantly hindered by regulatory issues. Nevertheless, these industries are potential application areas, which are likely to witness strong growth rates once legislative issues are resolved." Earlier this week Dr. Mike Eades posted an article about CLA in breastmilk, explaining "CLA is collectively a group of isomers of the 18-carbon linoleic acid. (Isomers are different configurations of the same molecule.) CLA, as a group, have a trans configuration in their structure, making them trans fats, but healthful trans fats. Yes, there are such things. (We humans even make our own trans fats.) There is some controversy swirling around CLA because studies have shown both health advantages and disadvantages to taking them in supplement form. As research progresses more information is being gleaned as to which of the many isomers are the ones that are good for us. So far, it seems, (as might be expected) the natural forms of CLA, i.e., those found in the meat and dairy products of ruminant animals are the good ones." His article pointed to a qualititative study, published in the British Journal of Nutrition, that compared CLA levels in breastmilk among women who consumed organic dairy and meat versus conventionally produced foods in Switzerland. As Dr. Eades summed up "After analysis it was found that those mothers consuming the greatest percentage of their meat and dairy from organically produced sources had the highest levels of CLA in their breast milk with a decrease in levels as the consumption of organic meat and dairy fell." So then, this now directly links back to the press release suggesting huge market potential - translate profits - for food and feed manufacturers if they integrate CLA in the food supply by fortifying food with added CLA. Except there is no compelling reason to do it. In fact a strong arguement can be made to not fortify food or feed with commercially manufactured CLA since it is an industrial trans-fat, but because it falls within the definition of a "conjugated system" which the FDA does not class as trans-fats for labeling purposes, it is not counted nor labeled as such in the United States on nutrition labels. Simply put, commmerically manufactured CLA is treated the same for food labeling as the naturally occuring CLA in meat and dairy. The biggest problem is we have absolutely no hard data on long-term exposure to commercially manufactured CLA, a completely foreign substance in the human diet until recently. In 1935 Booth et al identified CLA in milk fat, and in 1990 Pariza et al reviewed the evidence that suggested naturally occuring CLA was anticarcinogenic. As is often the case, it was only a matter of time until manufacture of CLA was patented so we could make CLA, bypassing the need for consumption of animal fat (patents filed by none other than Dr. Pariza, who throughout the nineties, patented a number of processes to manufacture CLA along with patents on methods of use in foods and animal feed). Some will argue that the two are the same, except one is from animal foods and the other from plant-based sources, and *we know* animal foods increase our risk for disease, therefore the plant-based source is better for our long-term health. How many times are we going to lunge ahead in the thinking that we can do better than nature? Have we still not learned from our experience with partially hydrogenated oils that now litter our food supply? Let's not forget CLA is largely a product of microbial metabolism in the digestive tract of ruminant animals whose stomach has the required bacteria for the creation of CLA when the animal is consuming its natural, primarily a grass diet. As the study Dr. Eades pointed to shows, the diet an animal consumes influences production of CLA. Manufacturing CLA from oils, like safflower oil, is not the same. But, rather than encourage grass-feeding of ruminant animals we look to for food, we're going to make CLA and add it to foods where it was never intended to be. Oh yeah, that's the solution - it's got to be better than actually promoting grass-feeding of ruminant animals, or heaven forbid, consuming meat or whole dairy! No thanks, I'd rather enjoy my grass-fed steak and whole milk yogurt, with its naturally occuring CLA in parallel with all the other nutrients these foods have, that are likely just as important as the CLA or co-factors to our utilization of the CLA in the food. You see, we simply don't know exactly why naturally occuring CLA, despite being a trans-fat, seems beneficial in our diet. My final thoughts - until we understand its role in our diet and whether its benefit is dependent on other factors within foods it naturally occurs in, I think we should pass on the manufactured CLA and stick with what occurs naturally in our meat and dairy foods. 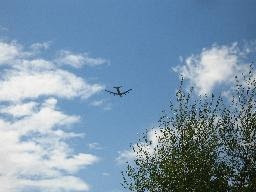 It's hard to believe, but yes, I'm off again and will return May 14, 2007! The study's results are considered statistically unlikely to be due to chance, but were near the mathematical limit for that distinction. A convoluted way to say "statistically significant." More important, when data is crunched and the finding shows significance, there is no "near" distinction - either it's statistically significant or it's not, there is no grey. Is the above a made up sentence to prep readers before I jump into a piece about statisitics and their interpretation? Nope, it's from a real article I read about a study that found greater weight loss in overweight or obese women who ate eggs for breakfast compared with women, eating the same calories but eating bagels for breakfast instead. In the study, 160 overweight or obese women were broken into four groups, including two that had diets about 1,000 calories lower than typical. One special diet group had two eggs as part of breakfast, the other had a bagel instead, though they were the same in calories. The average woman on the egg diet lost six pounds, while women on the bagel diet lost 3.2 pounds, a 65 percent difference. Researchers also reported that waist size dropped 83 percent faster for women on the egg diet. They said that there were not significant changes in cholesterol or triglcerides between the two groups. The author really should consider a course on brevity and to-the-pointness. A study, that grouped 160 overwight and obese women into four groups, each consuming 1000-calories less than their baseline diet, found the group allowed eggs for breakfast lost 65% more weight (6-pounds) than the group allowed bagels (3.2-pounds). The researchers also reported no significant differences in cholesterol or triglycerides between groups. That would be too easy, huh? But then again, this is from someone who presents statistically significant findings as "unlikely to be due to chance, but were near the mathematical limit for that distinction." When the data is actually published, I'll see what it really says and report back at that time! "A half-truth is a whole lie." If you want to see a truly stupendous exercise in smoke-and-mirrors and misdirection, look no further than people like Hope Warshaw, or organizations like the American Diabetes Association -- they've practically cornered the market on rhetorical tricks and red herrings. Of course, that's almost understandable since everything recent scientific studies have to say about their most popular punching bag, carbohydrate restricted diets, directly contradicts their doom-and-gloom predictions that no one can eat that way, or should. Case in point, the recent Diabetes Health article penned by, none other than, Hope Warshaw, The Optimal Eating Plan for Type 2 Diabetes? Let me first say, Ms. Warshaw is quite proud of her accomplishments and offers visitors to her website the following information in her biography detailing her direct work with "McNeil Nutritionals, LLC, a Johnson & Johnson Company; Mead Johnson Nutritionals, a division of Bristol-Myers Squibb; Roche Diagnostics and Novo-Nordisk Pharmaceuticals. She writes consumer and professional materials for brochures, newsletters and websites. Hope has worked with PR [public relations] companies on nutrition-related campaigns, such as Barkley Evergreen & Partners, Fleischman Hillard, Inc., Paine PR, Edelman, RF Binder and Hunter Public Relations." I point this out to highlight the fact that Ms. Warshaw is well schooled in media and marketing, or should I say "spin"? Simply put, she's no novice when it comes to creative persuasion, that is how to craft a message that hits on all cylinders of your emotions. Keep in mind as we move on, feelings do not change facts. In her recent addition to the media fodder attempting to discredit carbohydrate restricted diets, she sets the stage quite brillantly to avoid fact by littering her piece with half-truths designed to appeal to fear. Bottom line - statements with half-truths are deceptive; they're partly true, but not the whole truth; they present a verifiable piece of information that is true, but in context is not representative of the truth. Some might say they're lies, others might say they're stretching the truth, and still others may say that a half-truth is really just being economical with the truth. They've been with us for generations. We find them littering food packaging and in advertisements for many different things; sometimes stated, sometimes implied, and sometimes even admitted to in the fine print no one reads. Half-truths are so prevalent in our daily lives, is it any wonder that when one appears in an article about health, no one seems to notice? Ms. Warshaw sets the stage by setting readers minds to believe her article is the truth about the "optimal" diet for those with diabetes; and uses a number of literary tricks - rhetorical statements, imaginative prose and pursuasive words to trigger a desired response in readers. She leads with our base knowledge that dieting is hard and we should "be realistic and take a long-term perspective in this “which diet is best” debate, rather than wasting time quibbling over extremes - from low-carb to vegan." With this one sentence she's already working hard to influence readers by bringing them into her world while employing empathy, *we all know* it's a waste of time to quibble over diet, that vegan and low-carb are *extreme* diets, and that, as the title of her article hints, *we know* the optimal diet for those with diabetes. Forget about data, there isn't even room for debate. Since that isn't quite enough, she then adds a message driver, a logical fallacy to drive this message home by appealing to fear, one of our strongest emotions. Fear of being a loser, on the losing team, on the team that no one wants to be a part of anyway, the team that everyone quits because it's so bad. "A Team’s No Good If All the Players Quit"
Think about that statement for a moment. A Team’s No Good If All the Players Quit. It conjures up cliches we all know - quitters never win, be a team player, teamwork works, winners never quit...and it stirs up fear - the fear of failure. So with that in play, she then moves in with the half-truths - "A number of studies that compare low carb diets to conventional diets demonstrate early initial weight loss and improvement in other health parameters, such as blood glucose control. But studies of low carb diets that last longer than six months do not show significantly more weight loss. They do show that many study subjects drop out of the study and are unable to stick with the diet." 1. Foster GD, Wyatt HR, Hill JO, McGuckin BG, Brill D, Mohammed S, Szapary PO, Rader DJ, Edman JS, Klein S.: A randomized trial of a low-carbohydrate diet for obesity. NEJM 348(21): 2082-90, 2003. 2. Bravata, DM, Sanders L, Kuang J, Krumholz HM, Olkin I, Gardner CD, Bravata D: Efficacy and safety of low-carbohydrate diets: a systematic review. JAMA 289: 1137 – 1850, 2003. When we review these studies, we find her statements are accurate, but more accurately they are smoke and mirrors because they do not present the whole truth since the two studies are not trials specifically investigating dietary approaches for those with diabetes. Indeed the studies she cites - one is an investigation comparing low-carb and low-fat diets for obesity, the second is a meta-analysis reviewing some of the published studies up to one year comparing low-carb and low-fat diets for obesity. So while weight loss was a key part of the studies cited, they are not the most relevant available to us to examine for those with diabetes. You see, the two studies above, while they included subjects who were obese, they were not diabetic subjects; and the second was not a research study, but a meta-analysis review of studies that included the first study cited. But a casual reader wouldn't know that - they only see two references which lends credibility to her statements and makes them appear to be important in determining dietary recommendations for those with diabetes. Now consider this - how would her statement need to change if she included Beneficial effects of ketogenic diet in obese diabetic subjects? In this study, subjects with and without diabetes, were grouped by blood sugar levels and the study lasted 56-weeks (one year, one month) and there were no drop outs - that is all who started the study completed it. With across the board improvements in total cholesterol, HDL, LDL, triglycerides, and fasting blood sugar in both groups, along with significant weight loss over the period of a year (a 54-pound average weight loss for both groups!) is it any wonder she didn't cite this one? Or how about Low-carbohydrate diet in type 2 diabetes. Stable improvement of bodyweight and glycemic control during 22 months follow-up, a study over a period of almost two years that compared a low-fat diet to a low-carb diet in those with diabetes; and at six months, those following the low-fat diet abandon it when they saw the results of those following the low-carb diet? Oh, yeah, there were also significant improvements to risk factors including blood sugars (with elimination of medications) and weight loss and weight maintenance. Two longer term studies, both ignored for this particular article. But a casual reader doesn't know they exist and Ms. Warshaw isn't going to tell. So she moves on to the statement "Low-carbohydrate diets are not recommended by the American Diabetes Association for two key reasons. First, avoiding carbohydrate, as some low carb diets suggest, does not entirely return blood glucose levels to the normal range after meals. Second, an adequate amount of carbohydrate is an important component of a healthy eating plan, providing essential fuel, vitamins, minerals, and fiber;" and offers two more citations to support her words, both references are ADA statements. So again we find half-truth, but not the whole truth. This is because Warshaw sees the world though the prism of ADA truth making it impossible to take her seriously on any level. Does she really believe someone with diabetes will not, or more accurately, can not give up consuming sugar or excessive carbohydrate that she feels it necessary to portray the dietary approach as one where "avoiding carbohydrate" is a problem rather than the solution? Many, if not all, carbohydrate controlled plans restrict total carbohydrate each day, but no plan says you must avoid all carbohydrate or eliminate it completely. Maybe she has a problem with a diabetic avoiding sugar and foods that quickly raise blood glucose? Second, her statement that avoiding carbohydrate..."does not entirely return blood glucose levels to the normal range after meals" implies that what she's going to present to readers will do just that - just ignore the smoke, just ignore the mirrors, as she continues with "an adequate amount of carbohydrate is an important component of a healthy eating plan, providing essential fuel, vitamins, minerals, and fiber." Ignore the fact that all carbohydrate restricted plans include and encourage a high intake of non-starchy vegetables (rich with nutrients, fiber and minerals); no the message by now is clear - low-carbohydrate diets are for losers, they're unhealthy, nutrient deficient, make you avoid something with no reward for the effort (normal blood sugars after meals) and you're not going to lose weight with a low-carb diet anyway, move along now and don't pay to much attention to the fact she opened with two "extremes" low-carb and vegan but only attempts to discredit one. Afterall we can't have anyone consider a low-carb diet, because "diets that force people to dramatically change their eating style are not maintained over the long haul. These diets require too dramatic change compared to the common, albeit not healthy, eating habits of the 21st century." Take a good look at the last sentence - it's too big a change from the "unhealthy" eating habits we have, but by golly, a person with diabetes deserves to eat whatever they want and they can continue on with their common ways! What she is saying is that no person with diabetes is willing to change their unhealthy ways, so why bother. She then has the nerve to present to readers more rubbish - "Research from numerous studies, including the Diabetes Prevention Program and the National Weight Control Registry, show that people can lose weight and keep it off successfully for three years and five years, respectively, by reducing dietary fat and total calories." Two is not "numerous" it's a couple. And one is from subjects at risk for diabetes, the other a self-selected group of dieters who are followed in a national database because they lost weight not because they have diabetes and are in good glycemic control and maintaining weight loss! Ms. Warshaw is pretty confident you won't check or think critically, and that you'll take her half-truths and believe a low-carb diet is impossible to follow for the long-term. She's so sure of this in fact, she has no worry saying you can't diet on your own anyway - you need help, "you need knowledge and skills to make lifestyle changes, as well as help in setting behavioral goals, not to mention ongoing and long-term support...Ask your health care provider to refer you to a diabetes education program." Her writing is chock-full of manufactured criticism, dead-wrong assumptions, half-truth evidence, and child-like ignorance of the emotional universe inhabited by men and women with diabetes. She hopes no one notices that what is more important is the quality of pertinent research published, not the crafty presentation. She relies heavily on logical fallacies - appeal to authority (the ADA) and appeal to fear - to grab and hold readers' attention, then offers clever cliches to play emotions without presenting pertinent facts to help an individual with diabetes understand the hard data. The truth is modifying your diet is difficult, losing weight may be hard, and maintaining weight after it's lost can be a challenge; having diabetes is also a challenge and managing everything that comes with a diagnosis is no small endeavor - everything from blood glucose levels to HbA1c to cholesterol to body weight is monitored, tracked and managed; not for a week or a month, but for the rest of your life. Ms. Warshaw contends that modifying diet too is too much to ask, too much for a person to do, too much for anyone to have to do over the long-term. She offers the status quo - the ADA position that one deserves to be able to eat normally (even though she admits this "normal" is unhealthy); afterall a low-carb diet requires "too dramatic change" in eating habits. Notice she hasn't said a word about the dramatic change one must make to include their medication each day; self-monitor blood sugar levels; keep doctor, opthamologist and podiatrist appointments; adjust medications as complications arise; injecting insulin each day; careful wound care; and more. Notice she hasn't said a word about what dietary modification is necessary with the ADA recommendations. Notice she presents no evidence to support the implication that normal blood sugars are achieved when one follows this "optimal diet." That's because normal blood sugars do not happen when one follows the dietary recommendations of the ADA. In fact, the ADA position is that medication is the first line defense upon diagnosis because their dietary approach fails over the long-term. Oh, Ms. Warshaw didn't include that, did she? No, she's done a run-around the evidence, fully aware the casual reader won't know the published data well enough to spot her half-truths or question the depth of her statements. She stays on the surface rather than digging deep and offering a compelling look at the truth. The truth is, those with diabetes deserve to know they have options. They deserve a full disclosure of the data to allow them to make an educated decision about what they can and cannot do with diet; what they will and will not do to manage their diabetes. They deserve to know that not only do blood sugars normalize in many with diabetes who adhere to a carbohydrate restricted diet, but medication is often eliminated or reduced. They deserve to know a dietary approach is available that may indeed provide normal blood sugars! They deserve no less than full patient autonomy, something Ms. Warshaw seems to know nothing about. They deserve the whole truth!